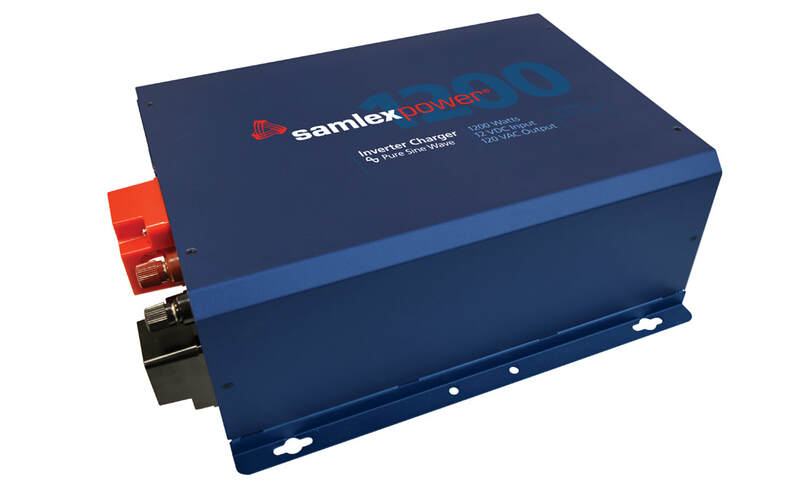 We have for sale a Samlex EVO1212-F 12V 1200W Inverter/Charger, EVO RC Plus Intelligent Remote, Samlex Battery Cable Fuse, and a set of 5' Inverter to Battery cables. The inverter/charger, Remote and Fuse are new out of the box and were used as a display for trade shows and has never been put into service. Built in AC duplex plug in (just like at home). Solar Expandable. Built in connections for solar charge controller. Fast switching time. Can be used as a UPS ???????? High surge inverter – 1,200W continuous power / Up to 3X maximum power (3,600W) for starting high surge loads. Nine points of internal fault protection ensures reliable operation. Remote Temperature Sensor to make sure batteries are charged as efficiently as possible. AC Power chord input and Duplex GFCI outlet. ​​This is a solid inverter/charger and will outperform cheaper Chinese equipment. You get what you pay for. View real-time activity on the alpha numeric LDC display with 4 rows of 20 characters while the unit is operating: Output voltage, Frequency, Amps, Watts, Volt Amps, Power Factor, Battery Voltage, Battery Current, Solar Input Current and more. Set of (5’) positive and negative 4/0 battery cables with 3/8” lugs. These battery cables were sized large enough to accommodate any size inverter for future expansion and will safely pass 250Amps. One size fits all. These battery cables were fabricated at our off-grid shop and are crimped and soldered making the best connection possible.